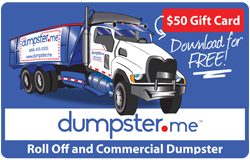 In need of dumpsters in Daytona, Florida? Anderson Rentals can provide you with the best selection of dumpsters and roll-off containers in the area. Whether you need someone to drop off a container for debris pickup and removal, or safely demolish an old building, Anderson Rentals can take care of you. In need of dumpsters in Vero Beach, Florida? Anderson Rentals can provide you with the best selection of dumpsters and roll-off containers in the area. Whether you need someone to drop off a container for debris pickup and removal, or safely demolish an old building, Anderson Rentals can take care of you. Duval Disposal has been serving Jacksonville, North Florida, and South Georgia with dumpsters, roll-off containers, front load containers, port-a-toilets, demolotion, and junk cleanup for decades.Whether you are a commercial client or a residential client doing some home remodeling we have your waste and dumpster needs covered. Our staff is licensed, insured, and highly trained to make sure your junk hauled off and disposed of in an environmentally sensitive matter that complies with all local, state, and federal regulations. We have dumpsters, roll off containers, hook lift containers, and front load containers for all your waste management rental needs. Are you remodeling your house, needing to get rid of some junk, or doing a large amount of yard work? Our prompt staff can have a container to you immediately from our Jacksonville, Florida headquarters. Give us a call today at 904-751-2177 or contact us for your free dumpster container estimate! Do It Yourself, Rent a Dumpster or Roll Off Containers Today! These containers are perfect for construction projects, remodeling, junk removal, yard waste and more. If you are removing hazardous materials we are able to help as well – abiding by all local, state, and federal standards. Front Load Containers for Commercial Locations! We will buy out your contract. We have a wide variety of front load containers for your commercial and residential waste management needs. Here are the sizes of front load containers we are ready to deliver within 24 hours. Small Hook Lift Dumpsters are perfect for Roofing and Small Construction Projects. Our selection of hook lift containers is sure to meet your business needs. Below is a chart of the sizes we carry. Duval Disposal has compactors for a variety of uses. We serve the food and beverage industries offering mixed solid waste and food waste. We also offer compactors for paper and cardboard use. Contact us for an estimate on your break away or self contained compactor! Environmentally friendly and can be used for recycling waste. Good for restaurants because of odor and unwanted smell reduction. Come in various capacities to meet your needs including 17 yd, 20 yd, 35 yd, 42 yd and more. The high compactors operate on a ratio of 4-1 so you can place approximately 61 yards in a 17 yd compactor. Whether you have a big or small outdoor event, Duval Disposal’s friendly staff is ready to help your wedding, remodeling project, or outdoor event needs. Not only do we offer the the traditional single and double toilet rentals, we have his and hers bathrooms, and can bring complete sanitation services with bathrooms, waiting areas, and running water! Give us a call today at 904-751-2177 or contact us for your free portable sanitation and toilet estimate! We have experience taking down commercial and residential structures of many shapes and sizes. From a junk house to a multi-story business or hotel Duval Disposal safely complies with all aspects of the demolition and cleanup of the property. Over 20 years experience in demolition. Experience with many types of structures such as shopping malls, commercial strips, business parts, and residential homes as well. Give us a call today at 904-751-2177 or contact us for your demolition consultation! 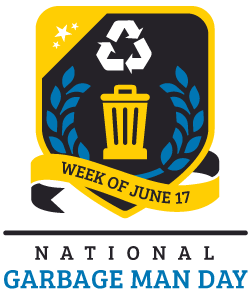 For companies, municipalities, and developments of regional impact, we offer curbside garbage collection and recycling. Duval Disposal can compact your garbage and deliver it to the nearest landfill. Even over long distances. We can remove anything from your home business or property! From funiture, appliances, and landscaping waste to remodeling and construction debris. Even better, we can do that work for you including moving the items from the location that are at and placing them in one of our roll off dumpster. Give us a call today at 904-751-2177 or contact us for your free junk removal service estimate! Offering Waste Management Services in North Florida for over 25 years! From a single truck load to multiple truck loads, we load, haul, and clean up the junk from your residence or business. Call us at 1.904.751.2177 or Schedule Online Now to arrange a removal time convenient for you. You choose what day you’d like us to come and when. Once our team arrives, just tell us what needs to go. 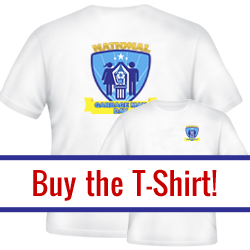 We’ll provide you an estimate on-site and upon your approval we are ready to start the work. Step 3: We haul off your junk and leave it clean! Once all your items our loaded, we sweep and make sure you area is clean and haul it off. Anderson Rentals provides Lakeland with quality dumpster rentals and roll-off containers. They go out of their way to provide the same consistent service for commercial and residential customers, no matter how large your project is. Anderson Rentals provides Cocoa with quality dumpster rentals and roll-off containers. They go out of their way to provide the same consistent service for commercial and residential customers, no matter how large your project is. Dumpster rentals are now available nationwide. 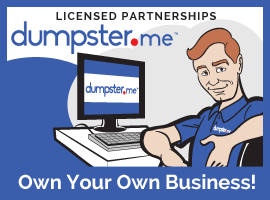 For your own DIY demolition project, visit Discount Dumpster Shop and order a dumpster in your local area – 24 hours a day. 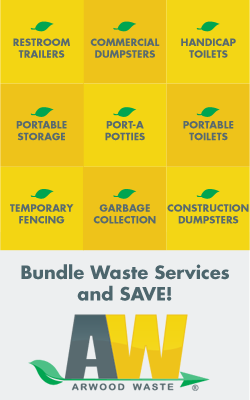 We also offer Portable Toilets, Demolition, Junk Removal, Compactors and Waste Management services. 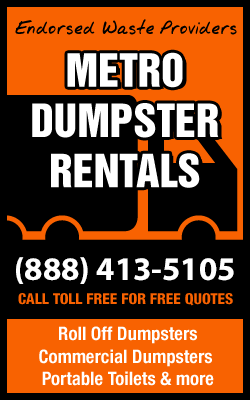 In need of dumpsters in Leesburg, Florida? Anderson Rentals can provide you with the best selection of dumpsters and roll-off containers in the area. Whether you need someone to drop off a container for debris pickup and removal, or safely demolish an old building, Anderson Rentals can take care of you.